View from the front seat towards the back. Usually I take the train to our hoop jams but for World Hoop Day I brought more than the usual number of hoops to Yoyogi Park. 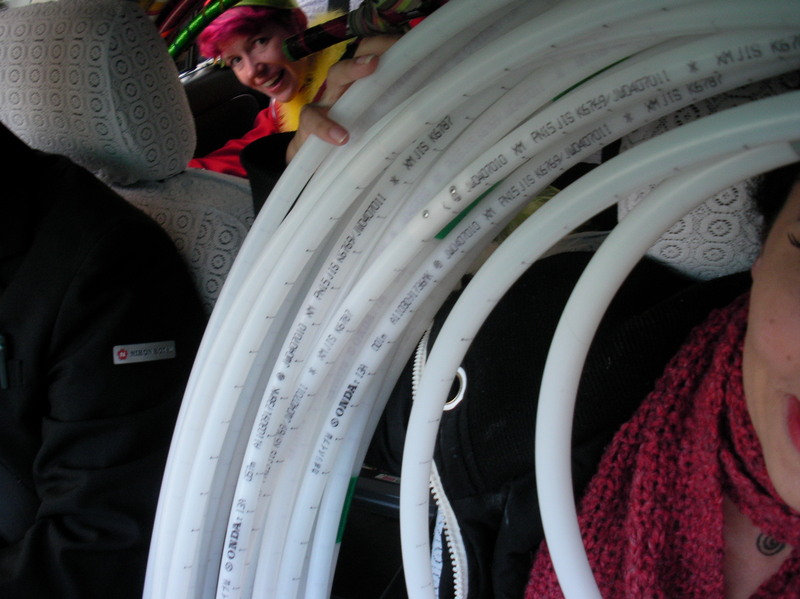 I hailed one of Tokyo’s convenient taxis and proceded to stuff 52 hoops into it, along with myself, two hooping friends, and a trunk full of miscellany. It was packed floor to ceiling with hoops on the 25 minute drive across town. 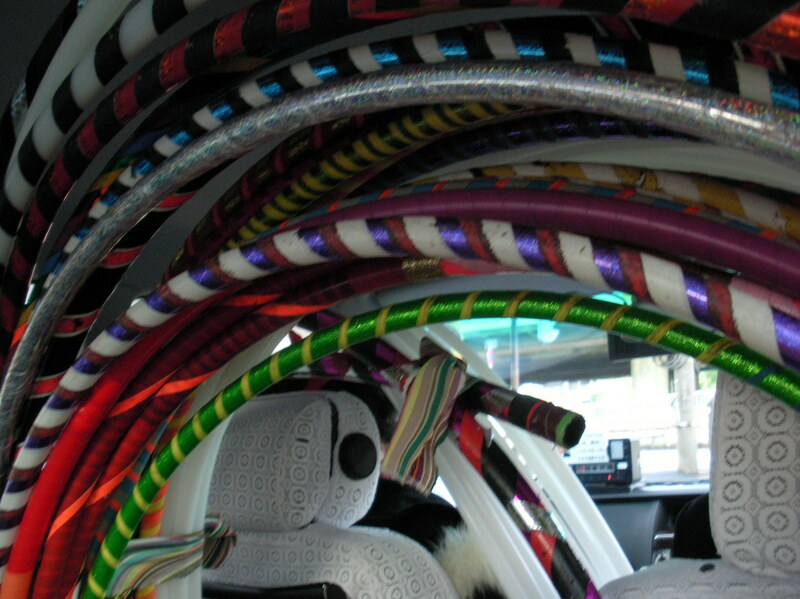 I am sure that this is the most hoops a Tokyo taxi has ever seen. My view from the back seat looking forward. Haha! Brilliant! The taxi driver must have loved you guys. Cheers for a fun afternoon!